In two short weeks, animal lovers across Oklahoma rallied together to defeat SB32, a bill that would have allowed cities to restrict ownership of any breed dog, enabling breed specific legislation (BSL) to become law. Bill author, Senator Patrick Anderson, went on record stating, “We’re not going to move forward on it,” said Anderson, R-Enid. “There’s just too much opposition to it. “I certainly didn’t anticipate there would be as many people as vocal about it as they have been,” he said. “We’ve got more important issues to deal with at the Capitol than that, and I don’t want it to be a distraction.” To read the entire article, visit The Oklahoman. Two weeks. Over 9,200 petition signatures. That shows you the power of people organized to make a difference. One of my favorite quotes is by Gandhi, who said, “Be the change you want to see.” Indeed. If you want to see change, let it start with you. 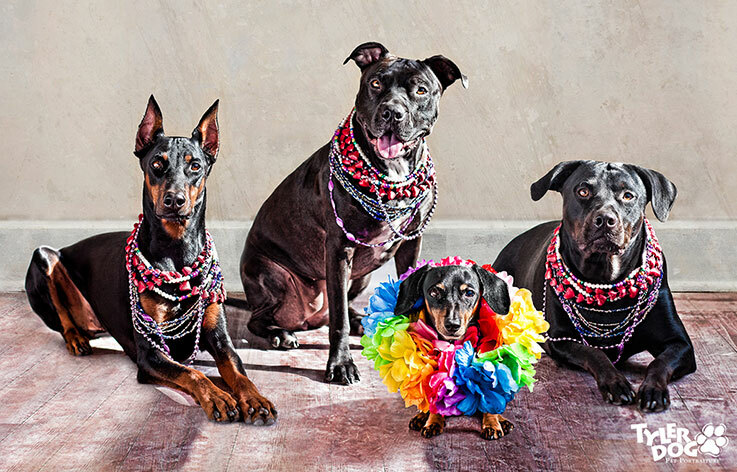 From the Motley Crew of Katie, Xena, Jazzy, and Maggie: thank you. be fierce. be brave. be amazing.